Mwashinga and Associates have been providing quantity surveying services since 2006 when it was incorporated into a company. The company is registered with the Board of Registration of Architects and Quality Surveyors (BORAQS) of Kenya. Serving mostly in the Coastal region of Kenya, the company is involved with its client every step of the way from the initial stages of the development of a project to the resolution of any challenges that might come along the way. With more than 10 years in practice, Mwashinga & Associates have accumulated vast experiences in their field of expertise handling various projects in Mombasa and its environs and is now diversifying its services to the country’s capital, Nairobi. Above all, the company believes in diversity. Mwashinga & Associates’ core services entail Feasibility studies for proposed developments where the company assesses the practicality of a proposed project. They can estimate what is involved in the proposed project and also determine the cost that will be incurred in the project. In addition to that, Mwashinga & Associates also ensures that the proposed budget based on the estimates is adhered. The company also does cost advice for the entire gestation period of a project. They ensure they give reliable and accurate cost advice to their clients to enhance trust and confidence in their ability to deliver. The cost is established based on the quality, space, time, and scope of the project. Mwashinga & Associates also provide legal advice on all matters relating to construction. Principal Qs. Abraham Mwashinga says this ranges from procurement modes to dispute resolution that might arise in the initial stages of the construction project. This may include relevant documents that might be needed in the construction of a proposed project as well as the tendering processes in a project. In addition the firm also provides contract documentation, contract administration, procurement support, and claim negotiation. Mwashinga & Associates have been involved in several large within its Coastal market where they have handled large amounts of budgets. 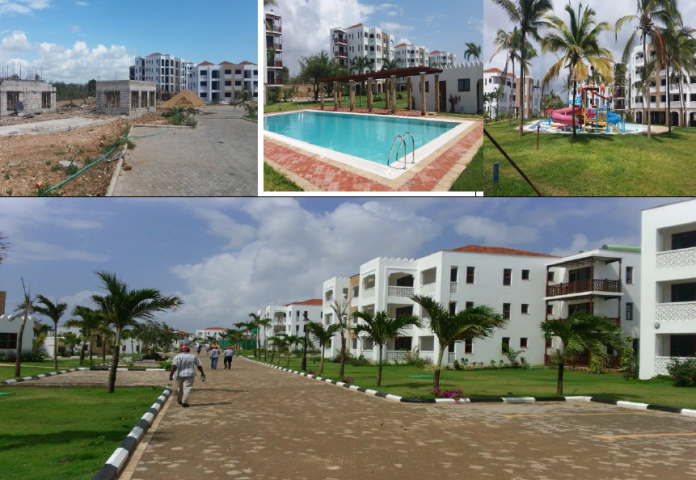 One of these projects was the Sultan Palace Resort Centre located in Kikambala, Kilifi County that had an average construction cost of Sh3 Billion. Mr. Mwashinga says one of the most notable projects they have been involved in was working with Planning Systems Limited, one of the leading Architectural firms in the Kenyan Market. “Working with them was a remarkable exposure to our practice,” he said. When it comes to their clients, Mwashinga & Associates have a reputable and competent technical team that comprises of personnel with on job experiences averaging 20+ years, not only in consultancy but also in construction companies. Mr. Mwashinga believes this is their niche input to their clients. He has worked with Barclays Kenya and Citi Bank N.A as a management Associate; and this adds unrivaled leverage to the Client on matters finance. “I can without fear of contradiction assert of the diversity within our firm,” he said.Mr. Mwashinga works alongside his associate QS. Timothy Owour and a team of more than 10 associate consultants, whom they have partnered with in various projects. As with all other industries, Mwashinga & Associates have faced their own share of challenges, the greatest of them all being political interference. The industry as a whole is recovering from last year’s general elections that ran longer as expected. During that period, there was little or no activity going on as investors were skeptical of the outcome. However, things are starting to get better. Another challenge is economic uncertainties and insecurity that have remained to be the most insignificant drawback to the industry. Mr. Mwashinga also points out poor leadership as another challenge saying it has negatively impacted the industry for the past year and is now running to its second year.He is however optimistic about what the future holds for them as a company.